Oasis Bars have been designing and manufacturing mobile bars since 2007, prompted by the growing need for venues to be versatile and serve a variety of functions. 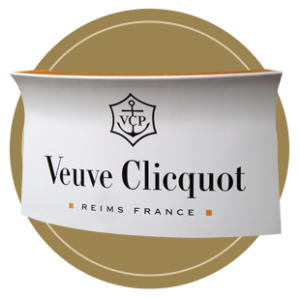 Our range of portable bars has been designed to help venues generate more income, reduce queues, and allow you to set up a stylish and lightweight bar in any suitable location – indoors or outdoors. Whatever the size or type of venue that you run, Oasis have the perfect portable bar to suit you. 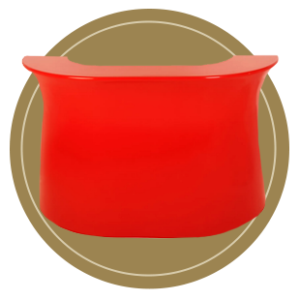 This is a quick summary of the different portable bar options available to you. Draught beer sales? 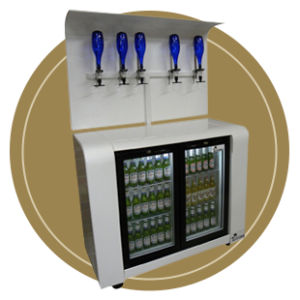 The Galaxy Mobile Bar is specially designed as a draught beer portable bar that has a number of other flexible uses. Make an impact? 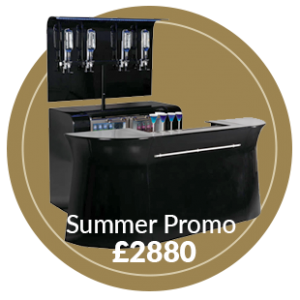 For a stylish bar with maximum impact, the Ocean Mobile Bar is a curved portable bar which can be joined together with other units to create a larger curved bar. Limited space? If you have limited space then the Satellite Mobile Bar, which is designed for one bartender, is designed to fit into almost any space. No storage space? 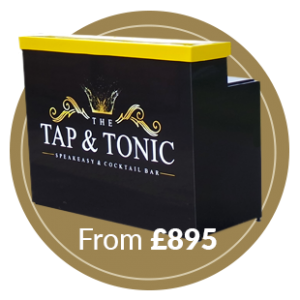 If you want a portable bar that is quick to set up or pack away, the Bar in a Box could be the perfect option for you. All in one? 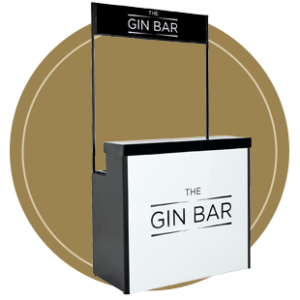 For a complete solution to maximise your gin sales, choose The Gin Bar. Extra storage space? The Back Bar is a refrigerated unit that is designed to be used with a till and optics that can fit with all our front bar options. Not sure which would be the best bar for you? Contact us by phone or email and we can talk through the best bar to fit with your venue.